A housewife identified as Alema Otuka, an indigene of Uwaba-Oju village in Ugboju, Onipi-Adoka area in Otukpo LG has been murdered over allegations of witchcraft. An eyewitness, Nats Agbo said troubled started about nine days ago after one of the accused daughters lost a child, who was diagnosed with amnesia. According to him, the daughter, Ijema, was living with her lover for whom she had the baby. He said, “After the death of the baby, Ijema’s live-in lover accused her mother of responsibility for the baby’s death. “He directed her to take the corpse of the baby to her mother, Alema, so she should cook and eat. “Dutifully, Ijema took the corpse from Adoka-Center to Onipi-Adoka to deliver her lover’s message. Upon reaching her father’s compound, her mother was at a burial ceremony. “News reached Alema Otuka that her daughter had returned to Onipi-Adoka with the corpse of her grandchild. “She rushed home only to be accused of being responsible for the death of her grandchild. “Some of the villagers pushed her into her room and locked her up with the corpse that was laid on her bed. “She was locked up in the room with the corpse until the following day when the door to her room was finally opened. Though the corpse was already decomposing, she was forced to carry it. “The elders directed young men to lead her out of the village and deal with her. Wailing and further claiming that she was innocent of the charge, she was led out of the village through Obena-Adoka and Awukpa-Adoka after which the young men started beating her. Her legs and hands were broken. She was thereafter pushed into a gutter,” the source said. Agbo added that the young men intended to burn her but she was saved by a team of policemen that came from Ogobia-Ugboju. She was rushed to a hospital where she was pronounced dead on arrival. 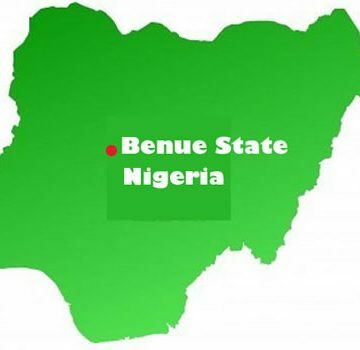 When contacted, the Benue State Police PRO, Moses Yamuh said he was not aware of the development as of the the time of this report.